At this critical juncture in modern history where tensions run at an all-time high between world powers that possess extensive nuclear weapons supplies, the United States and the United Kingdom would do well to re-educate themselves on the art of diplomacy. Instead, the United Kingdom has put its foot on the throttle, openly blaming Russia for poisoning a former Russian spy and his daughter in the U.K. Together with France, Germany and the United States, this western alliance has called on Russia to explain the military-grade novichok nerve toxin attack on Sergei Skripal and his daughter Yulia in Salisbury, England. They both remain in critical condition. U.K. Prime Minister Theresa May was one of the first to openly blame Russia for the incident, calling it a “brazen” act and expelling 23 Russian diplomats almost immediately. She also cut off high-level contact with Moscow for the attack on U.K. soil. U.S. President Donald Trump also came out behind the U.K., stating it “certainly looks like the Russians were behind” the incident. Apparently, Trump is happy to believe conspiracy theories regarding Russian interference as long as he is not the subject matter. Do we know the full facts regarding what happened to Skripal? No. But the minute western governments not only claim to know what happened but also take further action to demonize the state in question, we should immediately be skeptical. Let’s take a hypothetical scenario. Supposing someone wanted to kill Skripal but hoped to make it look like the Russian government was behind it, would it really be that hard for someone else to use the novichok nerve toxin in the commission of the killing? If this is a possible scenario as Smithson has intimated, it should be ruled out as a possibility before the U.K. expels Russian diplomats who may or may not have been involved in an assassination attempt. Diplomacy is an art form. Right now, we don’t need world powers escalating tensions and blaming Russia for every single thing that goes wrong across the globe. Just how powerful is Russia, exactly? We are not only supposed to believe that the former Soviet Union can elect presidents at whim in the world’s most powerful country, but that it is also openly going around trying to assassinate people on British soil using chemical weapons that would directly implicate itself as the perpetrator. Murray also referred his readers to an article in Foreign Policy that laid out Israel’s quietly advancing chemical and biological weapon capabilities. If we want to talk about evidence, it’s actually worth noting that Israel is reportedly in the business of launching assassination attempts, even on scientists and researchers. Israeli operatives have even been caught during their assassination attempts whereas, as Murray notes, Russia has never actually killed a “swapped spy” before. 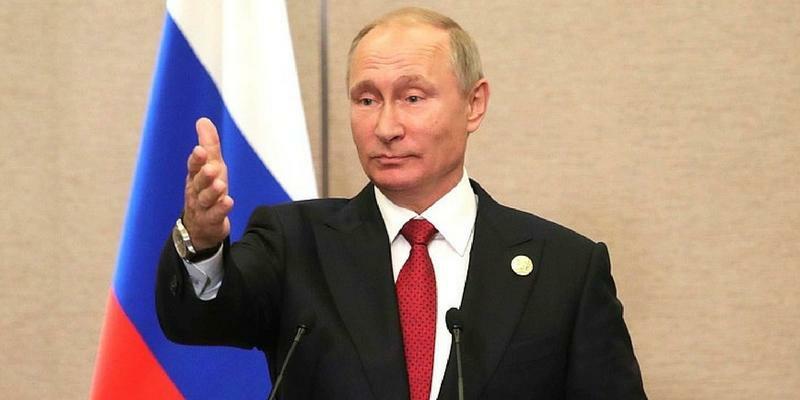 Of course, this is not to say that Israel is responsible for the crime in question, but until hard evidence is produced that directly implicates the current Russian leadership, it is worth considering that other countries also have the power to launch assassination attempts. Regardless, more allegations against Russia are still mounting. The U.S. recently accused Russia of a wide-ranging cyber assault on its energy grid and other parts of its infrastructure, gearing up to impose more sanctions in response. Now, after years of constantly being painted as the enemy, Russia just declared via Twitter that a “Cold War II” has, indeed, begun. And who can blame them? It is time for these countries to go back to the drawing board and teach themselves diplomacy. Nikki Haley is not a diplomat, the essential requirement of her job at the U.N. She is a warmongering neoconservative who is incapable of asking for basic evidence. The only high-level politician calling for diplomacy is the U.K.’s Jeremy Corbyn, the same man who is persistently demonized by the local and worldwide media, even while he has continued to be on the right side of history regarding almost every conflict since he became a politician. “This horrific event demands first of all the most thorough and painstaking criminal investigation, conducted by our police and security services,” Corbyn said. While the calm voice of reason, Corbyn to this day is vilified by the corporate media. The hostility towards Russia is one thing, but the double standards and hypocrisy are completely mind-blowing. The U.S. and its allies are the most meddlesome entities on the planet, but whenever something moves that can be blamed on Russia, Syria, North Korea or Iran, they take immediate action against adversarial states before a full investigation can ever be completed. It is a shoot first, ask questions later type of approach, and it needs to stop.